Back again today to share another card as the February Guest Designer at Uniko Studio! Challenge #18 Birthdays is running until Friday 8 am (GMT) so there is still time to play along. 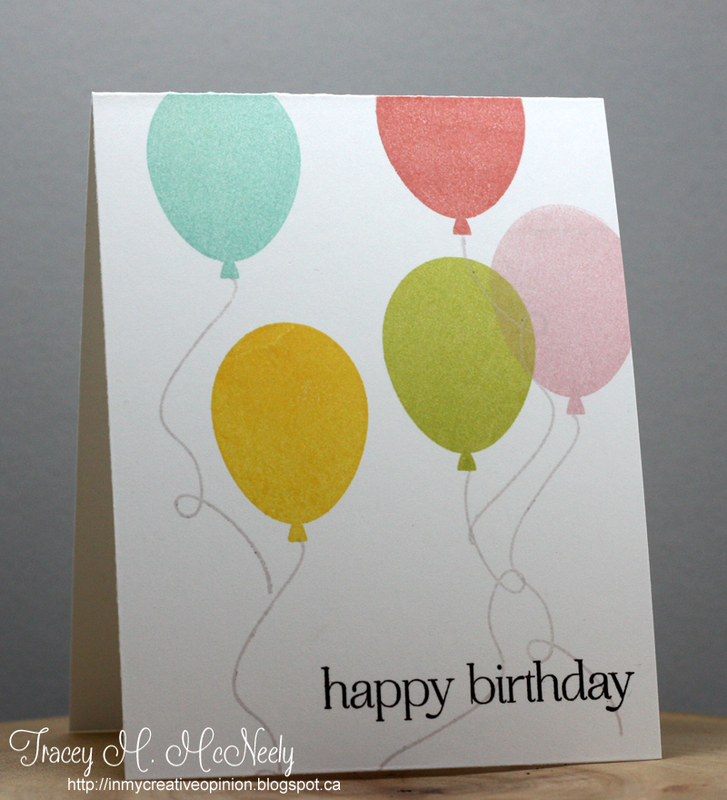 I have been having such fun with the Balloon Bash stamp set. The stamps take the ink so well and I ended up with a perfect impression every time. I also adore the curly string that gives your projects a really whimsical feel. Thank you Bev and the team at Uniko for the opportunity to share your birthday with you! This is a gorgeous one layer card...the ink colors are so crisp and fabulous. What a beautiful card! I love the colors of your balloons. I need to put that set on my wish list. This is a really cool birthday card Tracey! I really love the one layer, CAS style of it... you're so talented! Love your pretty balloons, and how they are free form and overlapping. Lovely! Those balloons are fantastic! Pretty colors on your balloons, this is lovely! 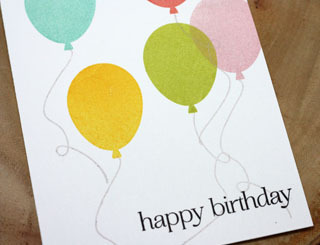 Love how your balloons are floating off of the top of your card and yes, those curly strings are so fun! Pretty CAS card. Love your colors. Love your floating balloons! The colors are wonderful! Really love your color choices here! I wouldn't have thought to use the pink, and I think that's what really makes it look special. Love the light color of the balloon strings too so they don't compete with your sentiment. Great design work, Tracey! I love the balloons and this card! Nice color choice Tracey! Love all those colorful balloons, Tracey! Great colors! Love the CAS design! It's been awesome having you as a guest designer with Uniko Studio this month!! Your happy balloons *are* a celebration, Tracey! So sweet! Tracey...this is just so pretty, love all those floating balloons, so festive and sweet. Love the fabulous balloons and one layer design! You always create the most fabulous CAS cards!